YOU OPEN A STORE --- AS YOU MAY BE STANDING ON WOBBLY LEGS! Before you plunk down your money to open a retail store, check and recheck your basic concept. Only if you pass the acid test of "DOES IT HAVE LEGS?" should you go ahead and make a business plan and find investors. Look deep into your own soul. Sometimes the artisan, merchant is too in love with his product, collection, designs or merchandise and wants to take everything he's found and TEST RUN it on the public by stepping FULLY into the marketplace, at great cost. You are well aware that folks are used to paying real prices when there's a brick and mortar store. Hey... the neon sign outside proclaims THIS IS A RETAIL BUSINESS, PONY UP! That may work and be great for a few weeks but what if you deplete your your collection? Your premiere day may even make the newspapers and bring in crowds of curiosity seekers who want to view your high concept line of merchandise. That's gratifying if you still have the factory at full crank. So test your ability to provide great numbers of frocks if great numbers of ORDERS come in. If the main room empties, can you get more quick? So, above all before you INVEST in a store lease, check the 'bones' of the concept. And especially the LEGS. Its ability to stand on its own, free of P.R. Flutter and just bring in solid customers with big wallets. Every Business needs a study of its basic PRODUCT-ETHOS. I am reminded of this today by news that our Millenium NOVA STAR DECORATOR/ COLLECTOR, MERCHANDISER RACHEL ASHWELL went bankrupt with more than a dozen stores! CHECK OUT HER BLOG. 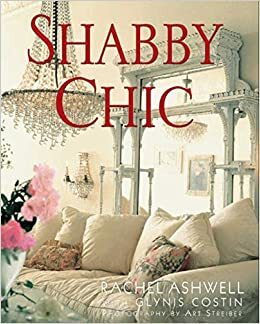 Rachel's business --SHABBY CHIC was so high concept it yielded the brainchild, decorator author hundreds of appearances on all the big TV shows, her own TELEVISION SHOW for cable DESIGN CHANNEL, a HOTEL (see http://junkgypsyblog.com/tag/rachel-ashwell/) and a big line of her stuff at Target Stores but as a brick and mortar store, it was doomed. She had to take the RETAIL END BANKRUPT. That she could do that is testimony to some superb lawyers as she collapsed only ONE division leaving the others intact and NOT holding any JAM JAR that lawsuits could hit! Like I say about the perennial beauty, great singer performer CHER, 'WHO IS HER PLASTIC SURGEON! "How does she come out of it unscarred? THE BASIC CONCEPT of 'garage sale' vintage, nostalgia as a retail product at high prices had within it, incompatible bloodstreams proven by the fact that the whole SHABBY CHIC RETAIL END (furniture/ accessory stores ) was the losing end of an otherwise vigorous empire. She isn't a total flash in the pan as the decorating bibles of her books, website and TV series (in syndication,) still make money. And she lives in the hearts of us who are her fans. The many magazine articles on her 'style' taught us all a perennially elegant 'look' that we can use in our homes! Frou Frou JUNK RAIDERS if you know THAT tv series. But hey, get real! She gave us THAT for free! The lumpy white furniture and recycled sheets... which she couldn't download on us for real folding green was as real as the CITY OF OZ and just as approachable as Oz is for free, from a public library. Because hey, we could find it in any thrift or alley once she'd tutored OUR EYE, we simply are NOT going to buy from her! Now you gotta say this about the girl. Rachel got as famous as anybody can get from the shabby chic concept. She was on Oprah, everywhere, We all knew who she was but the fame did NOT translate to retail furniture sales. The superb concept of shabby chic had unmarketable features to it. Like it was overpriced for flaking paint. To really do the SHABBY THING, you had to find the piece at GOOD WILL or SALVATION ARMY, or best of all FAMILY OWNED THRIFTS or GARAGE SALES. That is bottom DOLLAR but NEVER on Robertson Boulevard in West Hollywood which is Decorator's row. You might go there as you'd visit a MUSEUM to check the detail, the crackalated enamel paint jobs but not to buy. And later you'd cross the street and watch Jennifer Anniston and Brad go into the IVY. That was the standard Robertson Blvd. tour til Angelina came along. You want to have a 500% profit on what that little piece of beat up furniture that you painted shabby chic earns you. You want to turn out many pieces, sell them all, create publicity and get the people in. HOW TO MERCHANDISE YOURSELF. The HULA HOOP, a phenomenon in my day, was a master of merchandising. The PET ROCK was also and as as perfect a product as could be imagined, COST WAS FREE, a nice ROUND/FLATTISH ROCK... PAINT a GREMLIN FACE ON IT and put a high price on it. The thing was destined for a great lifespan, huge percentile markups on basic cost, ease in transportation, great legs and to boot, great humor, great stardom for one who bought a pet rock. The works! This online magazine where I found Rachel's story, APARTMENT THERAPY DOT COM tells us something I do not believe, "The 90's heyday of Shabby Chic has been long gone for some time." That is not true. The looks is eternal. Shabby's Victorian summer house look, almost pulled from that exquisite Ingmar Berman film, Fanny and Alexander, is hotter than hot as we slide down the BACK END of a terrible recession with LESS JOBS THAN EVER! MORE near homelessness, more of a need to pull furniture from Alleys. And the fabulous show "JUNK RAIDERS" which is on TV NOW is ever so fascinating. These two combined JUNK and ShABBY will tutor your eye, encourage your DIY and assure you can live in garages and ex lofts yet look and live like a Seattle Web Tycoon. The E-magazine I'm reading goes on to say "... but the brand's notoriously comfortable home furnishings still seemed to have a following in some circles. The cause for filing bankruptcy might be a case of diminished sales and a large expansion effort (she put up 10 new stores in the past few years) that began before the economic crisis had set in completely. We'd like to hear your thoughts on the matter - are you suprised by the news? What are your thoughts on Shabby Chic these days?" An Ezine asks. Readers answer, see some of their thoughts. POSTS by their readers that to me really 'got' it...."I thought the idea behind "Shabby Chic" was the fleamarket asthetic - Selling that in a store in the fanciest part of town seems the antithesis of the idea! Like you can't be A and Z at the same time! "I always hated that store. The sales people were snotty and the merchandise was always dirty (and overpriced). People get what they deserve. I see. They behaved shabby and thought they were chic. It could happen. Everything turns out 'as named,' taking on that vibration! "I'm not surprised. And, I agree. Trying to sell shabby chic seems doomed to fail. Why go to an overpriced retail store when you can wheel and deal at your local flea market while feeling the rush of finding hidden treasure? What rush is there in paying thousands for something you can find for 20$? And refinish with a can of eggshell paint and some fine grain sandpaper to remove paint on prominences. EASY BREEZY. I saved 200$ now what do I spend it on? TUSCANY? A cottage in the Hamptons for a week? <===== BACK TO THE PORTAL TO THE MULTI-PAGE "LIFE 101 SEMINAR"
<=== BACK TO THE INTERNATIONAL TRADE SEMINAR -- Travel the world & help starving villages export their folkloric artisanry. Sell it to rich Europeans, get fat EUROS.